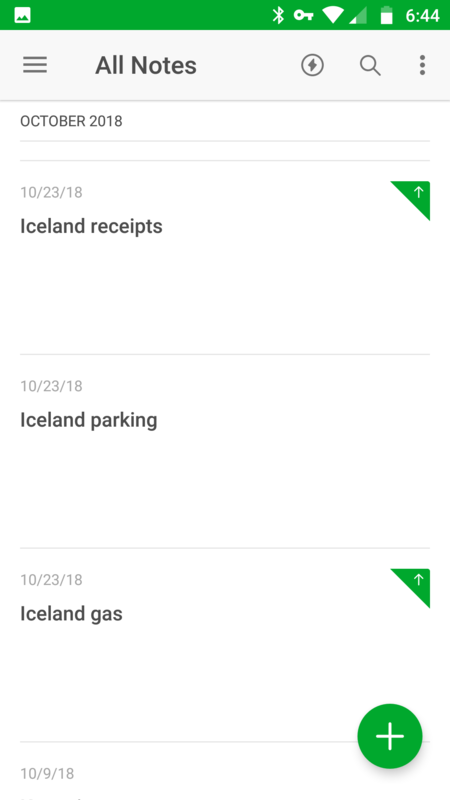 I have Evernote basic for Android. I only have two devices. For the last several months, most of my new notes don't upload to Evernote web. See attached screenshot. They just sit in my device with the little "uploading" arrow but never actually go. Everything else seems to be working fine on the app. I've tried clearing the cache, deleting the trash. I can't delete and reinstall the app because my notes aren't backed up. Help please? Thanks in advance. No idea what would prevent your data from being sent to Evernote unless you're operating from behind a firewall or don't have a valid internet connection. Are you able to download information to other applications? Can you see web pages without any problem? Do you have access to your account on a desktop? It would be worth checking your current update allowance - see FAQ for upload limits to make sure you're not waiting for a refresh. I tried the general troubleshooting list, and got down to where it suggests "delete and reinstall the app." Problem is if I do that I lose all the un-uploaded notes. No firewall, normal internet. Everything else works fine. In fact, some of the notes in Evernote upload, and some of them don't. It's not a monthly upload limit either. Plenty of space there. Yes, this thing is all over this forum. It mainly seems to (as here) quote an earlier post, but with underlining and links to various Websites embedded in the quote; then make an apparent reply, often copied from another earlier post. The inserted links are the key to its spamminess. Anybody want to try clicking one? Not me!